If you know of Sony Artisan Don Smith, you know he’s chased down some incredible natural wonders to photograph. From lightning on the rim of the Grand Canyon, to the wild weather of the desert monsoon season, to a variety of just plain beautiful landscapes – he’s seen (and photographed) a lot. 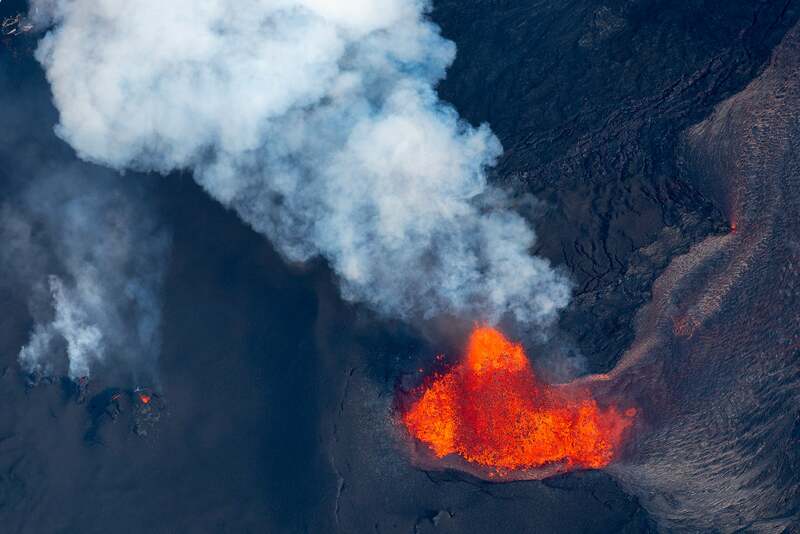 His latest journey took him back to the big island of Hawaii where the eruption of the Kilauea Volcano has been going through a new, dramatic and highly destructive phase. Smith had actually seen Kilauea erupting before, but that was nothing like what's happening now. Not knowing exactly what he would be doing photographically, Smith brought gear that would be versatile in a variety of situations. In addition to his Sony α7R III and α9, he brought his 24-105mm f/4 G and 100-400 f/4.5-5.6 G Master lenses. When they got to their hotel there was a large information board in the hotel lobby to help visitors monitor for air quality and to keep everyone in the loop regarding evacuations. The biggest concern at the hotel was the possibility of a tsunami from the earthquakes associated with the eruption. Regardless, Smith was ready to get out and begin working with his camera, something that proved harder than he had anticipated. 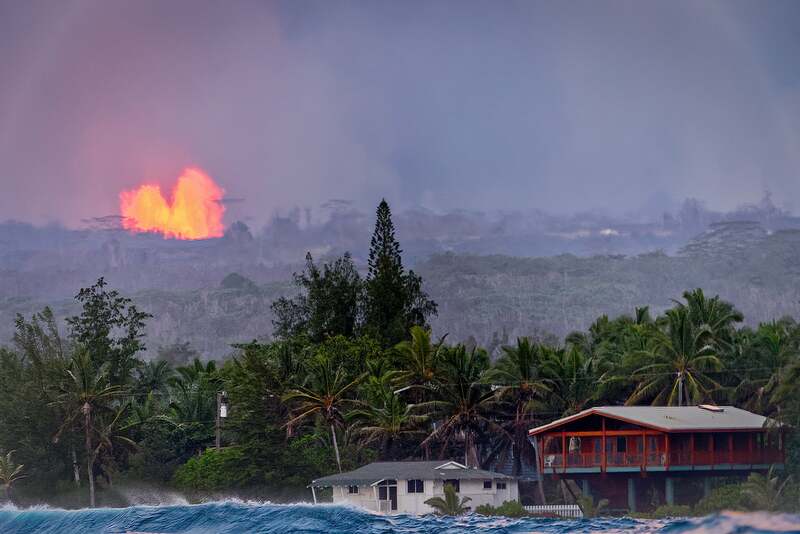 Lava from Kilauea Volcano pours into Pacific Ocean along Kapoho Coast on the east side of the Big Island of Hawaii. Sony α7R III. Sony FE 100-400mm f/4.5-5.6 G Master lens. 1/1600-sec., f/5.6, ISO 1000. Because of the toxic sulfuric acid clouds, the National Guard was tightly controlling access. In Volcanoes National Park there was a 12-mile stretch where the air quality was so bad that signs and rangers were alerting people not to roll down their windows or get out of their cars. 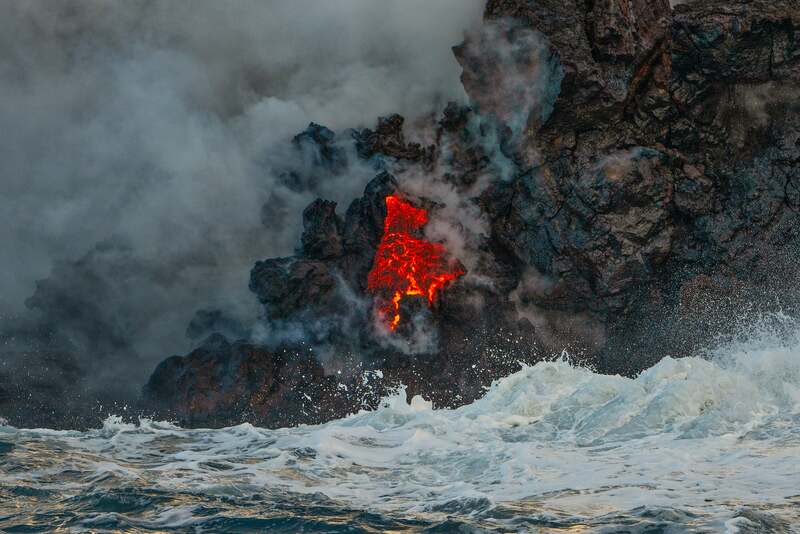 When Smith talked to some of the locals for more information, he was able to find a spot where he could capture the fountains of lava pouring from the new fissure, Fissure Eight, but the closest he could get on the ground was still five miles away, so he decided to try to capture it from the ocean. Lava Fountains and Houses in Pahoa, Hawaii. Sony α7R III. Sony FE 100-400mm f/4.5-5.6 G Master lens. 1/125-sec., f/5.6, ISO 3200. Kileaua's Fissure Eight spews lava 300 feet into air in Leilani Estates in Pahoa, Hawaii. Sony α9. Sony FE 24-105mm f/4 G lens. 1/3200-sec., f/4, ISO 800. Capturing clear images of the lava wasn’t the only difficult part of the trip. Seeing the devastation the eruption was leaving behind and how people’s lives were going to be forever changed was a challenging thing to process. 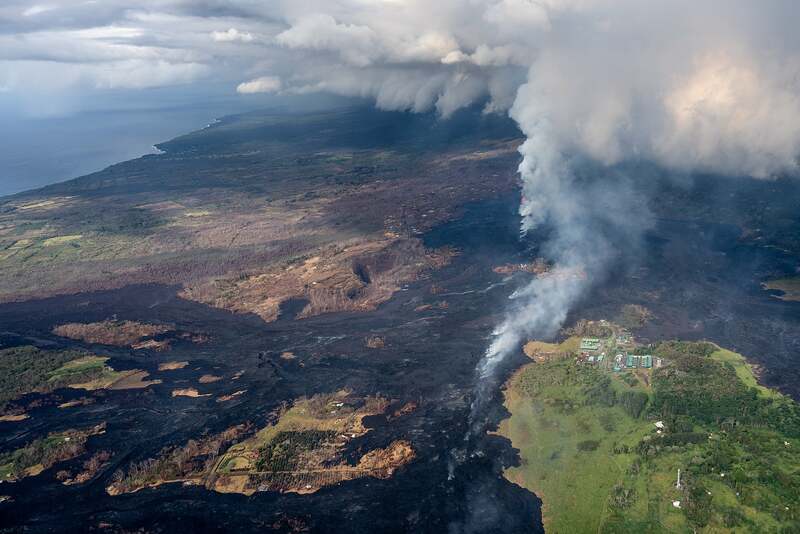 Lava from the Kilauea Volcano cuts a destructive path through Leilani Estates, Pahoa, Hawaii. A geothermal plant is visible on the lower right portion of the image. Sony α9. Sony FE 24-105mm f/4 G lens. 1/2000-sec., f/4, ISO 320. Don Smith is a Sony Artisan Of Imagery. See more about his journey to Kilauea here.